is a Kuwaiti film critic and author. He is a member of the International Federation of Film Critics (FIPRESCI) and has taken part in several prominent film festivals as a juror including Cannes, Venice and the Berlinale. 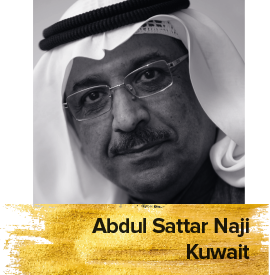 Currently, Naji is serving as both Head of the Information Centre of Al-Kharafi Festival for Theatrical Creativity and also Head of the IC of the Kuwait National Theatre Festival. He has written several books on Arab cinema and holds a Higher Diploma in Journalism from the University of Paris.